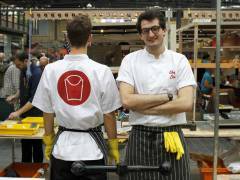 A Kingston University economics graduate has overcome a tough upbringing to change his life. 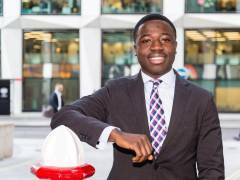 Reggie Nelson thought outside the box to land a top job in the heart of the City of London. Leading social work researcher Professor Shulamit Ramon has been awarded an Honorary Doctorate by Kingston University and St George's, University of London. 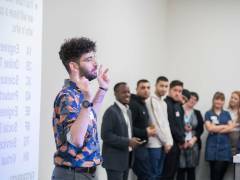 Students from across Kingston University pitched their best entrepreneurial products and services as part of the annual Bright Ideas Grand Final awards ceremony. Over 300 business ideas were submitted from over 600 student entrants with expert judging panels made up of Kingston alumni and friends to choose what they thought were the best, and brightest ideas. 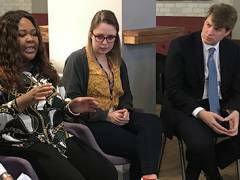 Two Government Ministers have praised Kingston University for its sector-leading work helping students who are care leavers or estranged from their families move on to higher education and get ahead by completing a degree. Hundreds of students have collected their degrees during graduation ceremonies for the Faculty of Health, Social Care and Education at the Royal Festival Hall. 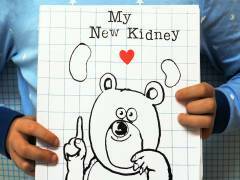 A Kingston University design graduate has launched a public crowdfunding appeal to raise money for a new interactive book for children undergoing kidney transplants. 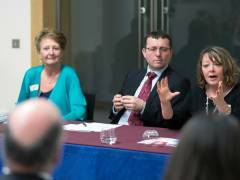 A panel of leading advocates for gender equality in the sciences discussed the reasons behind the underrepresentation of women in STEM subjects during a public event organised by Kingston University. 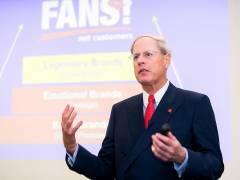 Chairman of Metro Bank Vernon Hill has launched this year's industry-recognised Strategy into Practice seminars with a talk on how to increase business growth. 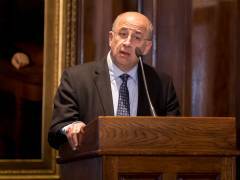 The Government's new Universities Minister has commended Kingston University for its sector-leading work on social mobility, diversity and reducing the BME attainment gap. 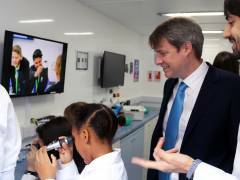 During a visit to the University's Penrhyn Road campus, Chris Skidmore MP was given a tour of facilities, including its dedicated STEM outreach centre, which hosts primary and secondary pupils for specially tailored sessions. 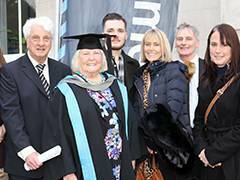 Grandmother Hilary Forde-Chalkly inspires the younger generation as she graduates from Kingston University with a Masters in Creative Writing more than 60 years after leaving school with just one O level. Congratulations to the winter graduates of the Class of 2018! 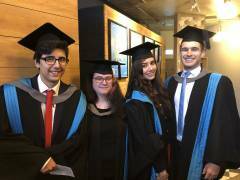 Postgraduate students from Kingston School of Art and the faculties of Science, Engineering and Computing and Business and Social Sciences celebrated their achievements at our 2018 winter graduation ceremonies. 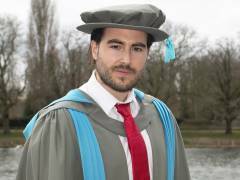 A rocket scientist from Kingston University is hoping to help play a key role in leading Britain back in to space after capping off a decade of studies at Kingston University with a PhD. 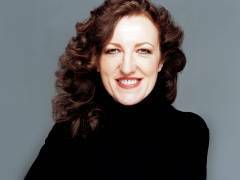 Harper's Bazaar editor-in-chief Glenda Bailey, who graduated from Kingston University with a fashion degree, has been named a Dame in the latest New Year's Honours list. 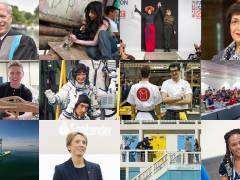 From OBEs and Influential Leader lists to award-winning startups and documentaries, 2018 has been another remarkable year for Kingston University alumni. Our graduates continue to be an inspiration to current and future students at Kingston. 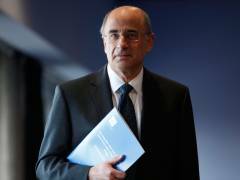 A cutting edge new online archive created by Kingston University will give the public new insight in to the Leveson Inquiry, which examined the central role of journalism in modern society. 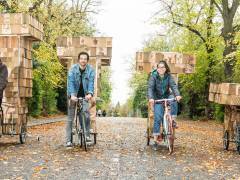 Recent graduates Rowan Minkley and Rob Nicoll, co-founders of Chip[s] Board, picked up the award in the non-tech category at the annual awards ceremony having beaten teams from 80 universities from around the country. Kingston University graduate Lorna Wheele has earned a spot on a Sky Arts television that aims to unearth talented artists from across the country. 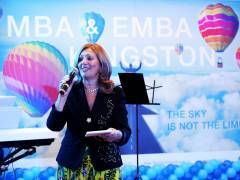 Kingston University has been celebrating the 20th anniversary of the launch of its Business School's MBA programme in collaboration with the Russian Presidential Academy of National Economy and Public Administration (RANEPA). If you have any Kingston-related news or have heard of an upcoming event that you think other alumni should know about, then please tell us.